Arts-rich schools are schools where student achievement benefits are realized through the integration of high-impact arts strategies. Arts-rich schools demonstrate the capacity to sustain broad and in-depth creative learning experiences, accessible to all. 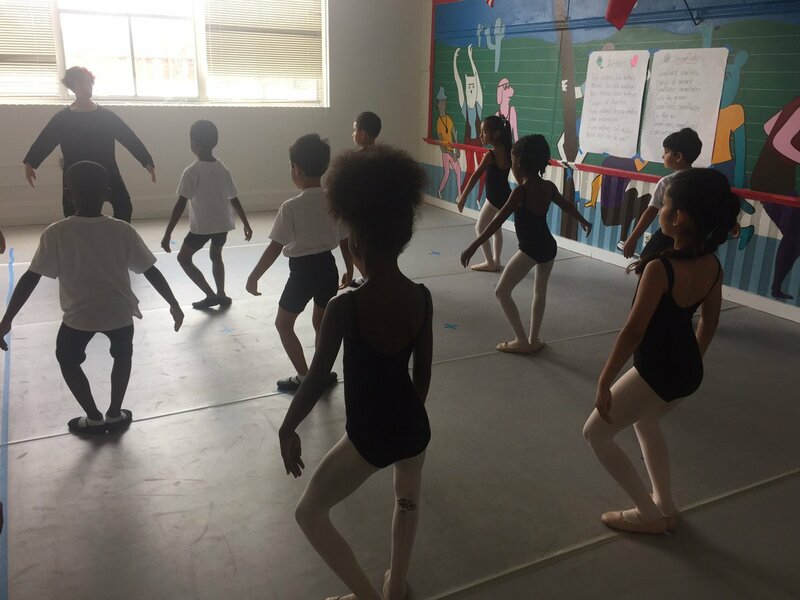 In arts-rich schools, all children are free to express themselves in an environment that fosters disciplined critical and creative thinking,that explores heritage through multicultural experiences, that stimulates innovation and imagination, and that honors and engages the whole child in a lifelong love learning. In the creative classroom, teachers are skilled in applying arts education techniques to all content areas. Students are engaged and use the rigorous creative thinking and communication skills they will need to imagine, innovate and realize possibilities in the future. Additionally, students are offered a sequential fine arts program at each grade level through collaboration with community arts partnerships. Provide all students with the knowledge and skills necessary for cognitive, creative, emotional and social growth through sequential study, practice, and reflection. Build many types of literacy while developing intuition, reasoning, imagination, and dexterity into unique forms of expression and communication. Explore the influence of the arts in their power to create and reflect cultures. Engage students in a process that enables them to develop the self-esteem, self-discipline, self-motivation, and cooperation necessary for success in life. Develop student artists who will create, lead, inspire, and contribute to a global community, through active involvement in creating, performing, and producing. Austin Creative Classroom Fund is a supporter of our campus programs. Many of our programs are sponsored by the Austin Creative Classroom Fund with support from MINDPOP. Yoga, Cycling, Boy Scouts, Girl Scouts, Athletic Club, Stop Motion Animation/Technology Classes, Keyboarding and Internet Research, Write Like a Movie Star, Strategic Games, Dance, Readers' Theater, Acting, Photography, Gardening, Writing Songs through Ground Work Music Project, Learning to Play Instruments with SWAN and LHMM. The Blackshear Minitropolis is a program sponsored by IBC Bank, and partnerships with HEB, and KVUE, to provide students the social, academic, and real-life skills they need to be successful and responsible citizens, while introducing them to different careers. The program supports the Social Studies TEKS of Economics and Math Financial literacy skills that all students and community consumers must develop. In the Blackshear Minitropolis, students are producers and consumers. Students collect money for attendance, responsible actions, and homework expectations. Additionally, student groups have the opportunity to receive payment for jobs they are performing at the school, such as recycling, banking, human resources, cashiers, newscast and other school based jobs necessary to support an economy.